AICA conference, Soweto. A communion service held for members. The format is that used by the Apostolic Full Gospel Mission of South Africa (2), in turn based on the official Methodist liturgy. 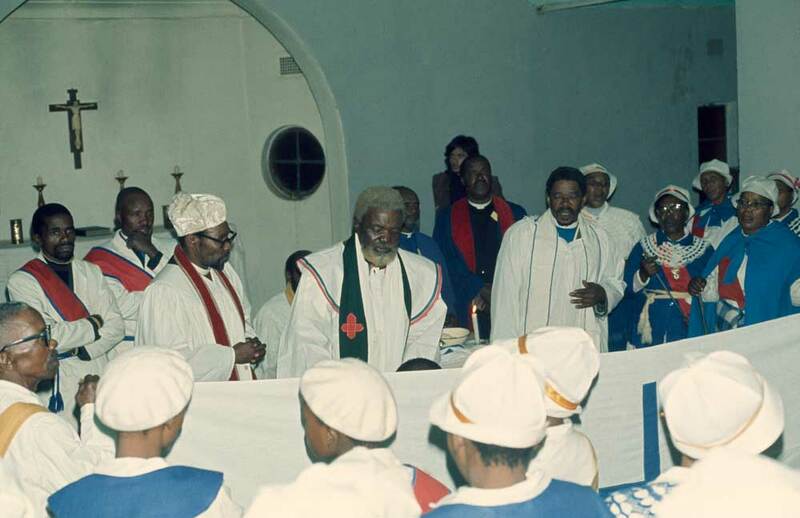 West, Martin, “AICA conference communion service held for members,” Martin West, accessed April 26, 2019, http://www.martinwest.uct.ac.za/items/show/10711.